It was pitched as the great disrupter of the Chinese healthcare system: online sales of prescription drugs would reduce distribution costs, improve efficiency of the supply chain of medicines and be great for consumer choice, convenience and affordability. Unfortunately, despite a lot of official hot air, nothing has actually happened. In May 2014 the Ministry of Commerce released a draft plan to 'open up' the pharmaceutical market to allow online sales. But since then there has been nothing heard from official sources about when and how online sales of prescription drugs will be permitted. While some of the big players such as Alibaba are positioning themselves to be online pharmaceutical vendors, it is still just talk: selling drug online is still illegal and insiders say the government is now dragging its feet on plan to open up the market. The pressure is coming from vested interests in the pharmaceutical industry and also from the powerful hospital lobby. According to the Commerce Department, online sales of drugs are growing at a phenomenal rate. They say revenue has increased 50% in the last year and there are now 425 companies competing to sell pharmaceuticals online in a 4 billion yuan market. However, at present only non-prescription drugs can be sold online - that market is worth 200 billion yuan and only 2% of it is online. The much bigger market - the 800 million yuan prescription drug market - is still out of bounds. Analysts predict that up to 30% of drugs sales could move online - so there are huge stakes involved for those who win and lose on online pharmaceuticals. According to Caixin magazine, plans for online sales of pharmaceutical are being opposed by those who say government-run hospitals will lose one of their main sources of revenue if this goes ahead. The China Pharmaceutical Association warns that prescription drugs must be dispensed under the supervision of a pharmacist to ensure quality of the product and also to ensure that it is going i the right for to the right patient.There is no guarantee that this will happen online, they say. They also point to the fact that online purchases of drugs will not qualify for heath insurance rebates - a crucial factor for most patients, who expect to get some or all of the cost of their medications reimbursed by their health insurance. Hospital-based pharmacists have also attacked the proposals for having little real-world benefit. They say there is no clear evidence for the benefit of online sales of drugs from a clinical perspective. Are online sales of drugs being promoted to improve patient's health, or just as a trend or a money-making venture, they ask. They have called for a responsible "opening up" policy towards online pharmaceuticals from the government. 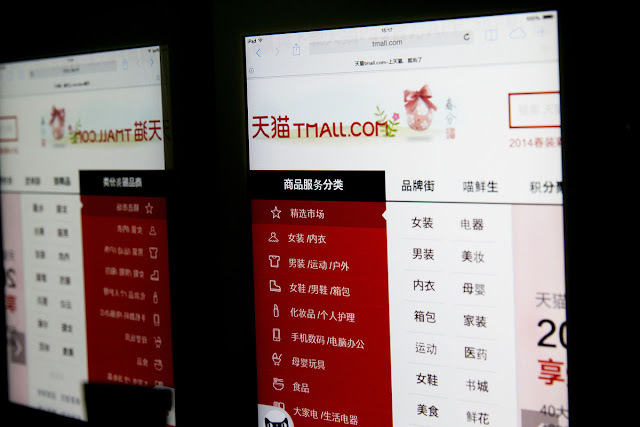 In the meantime, it seems China has stalled on the issue of online pharmacies.